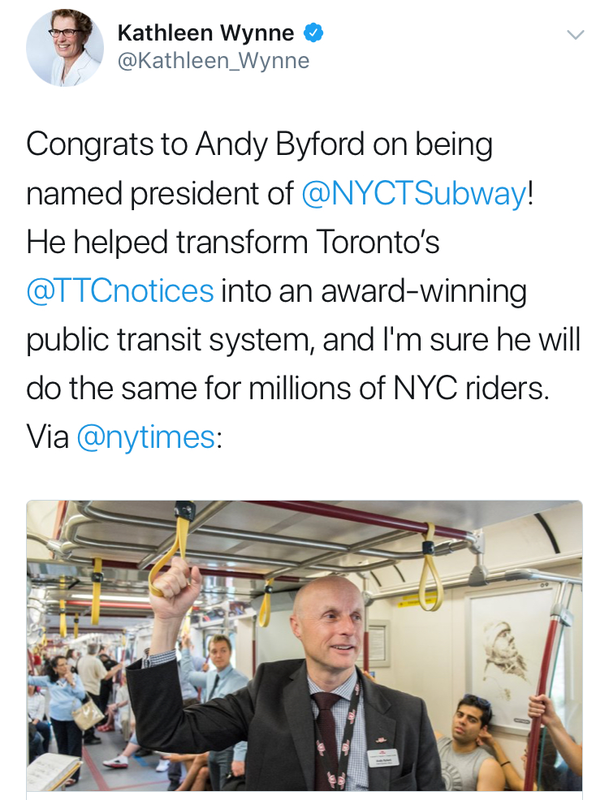 “It’s Not Just the Track That’s Broken.” New York Times columnist Jim Dwyer outlines the challenges Andy Byford is facing as he leaves running the TTC for the MTA, whose troubles relative to Toronto appear as manifold as its subway. Byford is mostly being praised after his half-decade in this city—although his legacy won’t soon escape the shadow of Scarborough. His hiring as NYC’s fifth full-time leader in 10 years is being compared to someone who practiced their way to Carnegie Hall. Metal detectors ring wrongly to some city councillors. “They’re not patrons, they’re citizens and this is their palace,” Gord Perks says of the largely secret city staff report that calls for “patron screening” at the front doors of 100 Queen West. (Three years ago, after the Parliament Hill attack, other entrances started being patrolled at considerable cost.) Queen’s Park, by comparison, makes a drop-in more complicated. Amanda Lang is back to BNN. Bell Media has hired the talking head who left its business network in 2009 for the CBC—a job she ended up exiting in a cloud of controversy, for a stint with Bloomberg Canada. The announcement follows a round of Bell veteran layoffs, which include BNN fixture Michael Kane—plus three voices inherited from CHUM: Jeff Howatt, Amber Payie and Bob Summers. Paul Morris, who spent most of three decades with Bell’s St. Catharines–based 97.7 HTZ FM, used Facebook to post the kind of farewell you rarely hear on the air. Today's edition of 12­:­36 is brought to you by Big League Babble On. 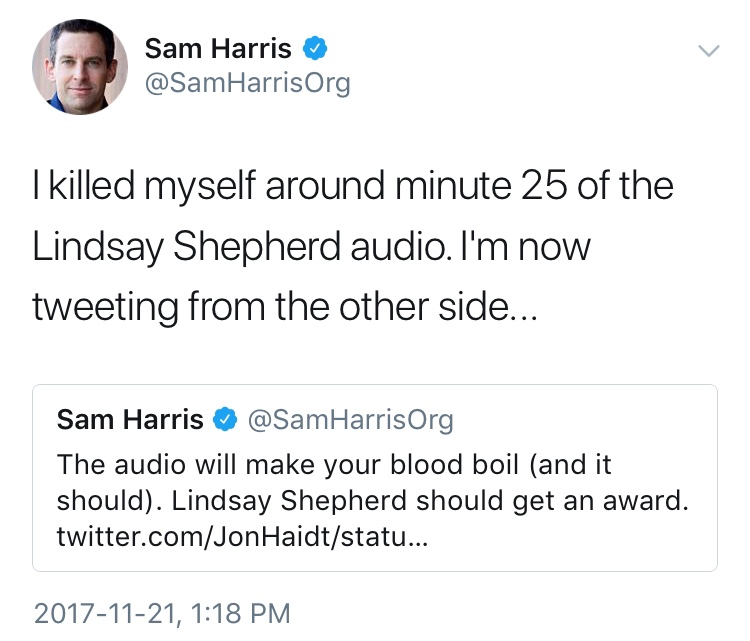 John Gallagher’s book features a chapter in which he details how he “did enough blow to kill a Shetland pony over the years,” which might’ve explained how he spent years simultaneously co-hosting morning radio on Q107 and late-night sports on Citytv. The resulting misadventures are collected in a media memoir that you can read right now. 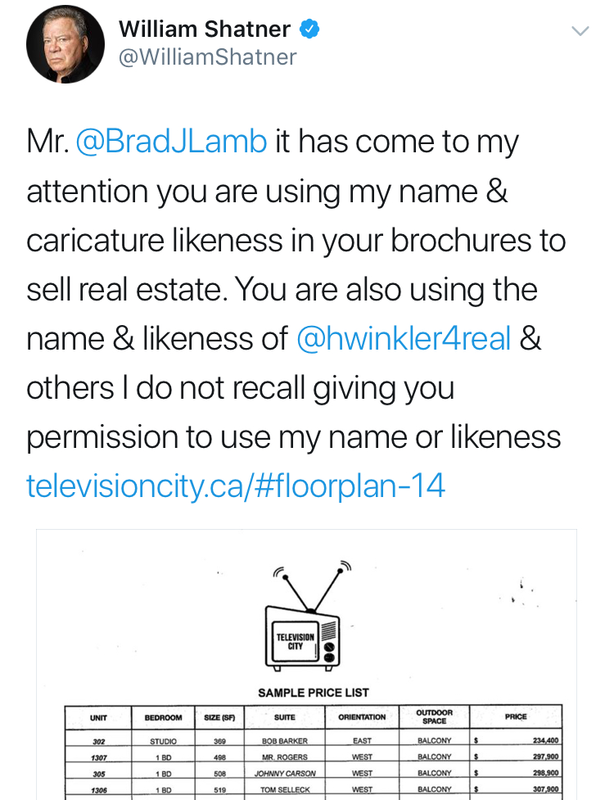 This Lamb was just trying to sell condos—but only incurred the wrath of Captain Kirk. Television City, a two-tower condo project proposed for the site of Partridge Family broadcaster CHCH, has found condo king Brad Lamb rebuked by Hamilton’s design review panel. (The 40-storey tower, connected to a 30-storey one, was hoped to be the tallest building in that city.) And now the marketing has received some heat from William Shatner, who caught wind of being appropriated alongside Andy Griffith, Don Johnson and Mr. T as names for the $1-million-plus penthouse suites up for sale. The soul of lite Canadian ’80s R&B lives at a Goodwill store in Niagara Falls. 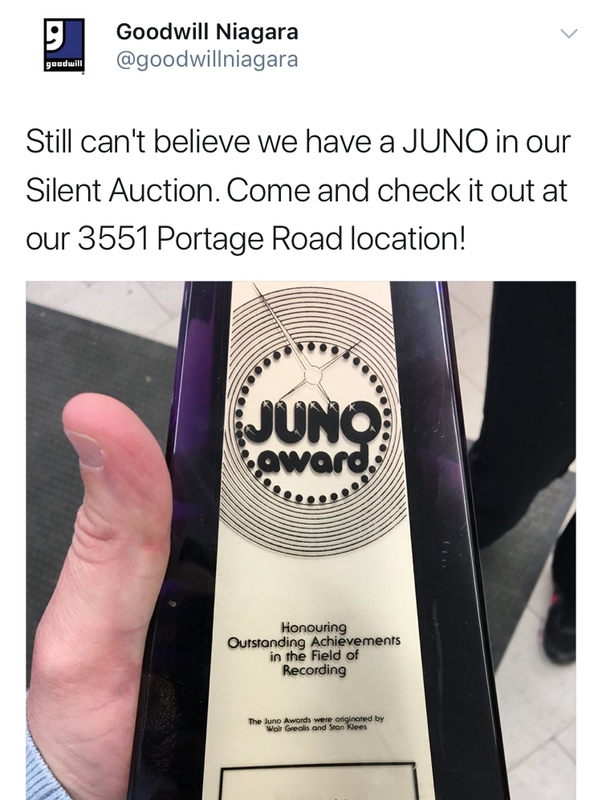 Errol Starr, a fierce vocalist who typically dressed like a sideman in a Prince tribute band, won a Juno Award in 1989 for his radio hit “Angel.” While he hung on to his own, another trophy turned up in a donation heap, engraved with the names of a couple who invested in him. The winning singer, who now goes by Errol Starr Francis, is flattered that the award is up for bids rather than dumped on a shelf in the thrift shop. Vice Media exposé is now so anticipated that speculative articles are being written about it. The prospect of a New York Times investigation into office culture at Vice has been more than hinted at for the past week after some other articles about its work conditions. Current employees figured the buzz about it was the logic behind a Friday morning “state of the union” meeting that ended up being just a self-laudatory video starring co-founder Shane Smith. For now, Vice continues to produce clickbait on topics like "hipster racism," a premise that's inextricably linked to the history of the enterprise. Loblaws’ annual list of new Canadian food trends includes eating baked goods in the morning becasue it "provides the body more time to work off the indulgence."